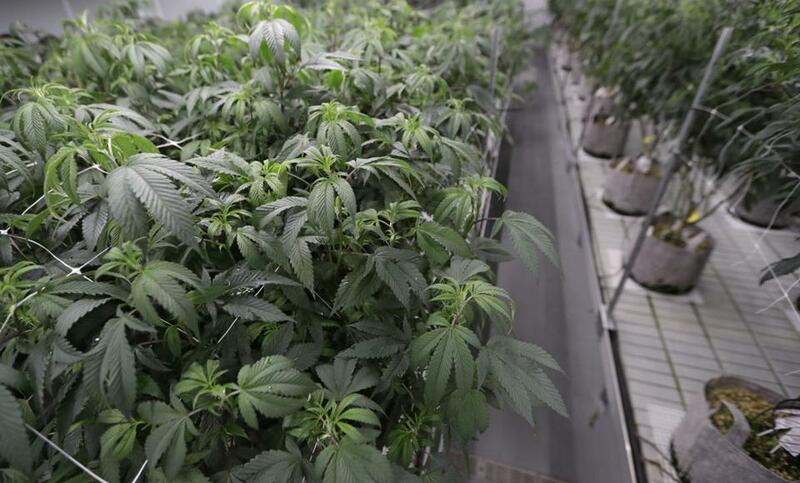 Marijuana plants grow in the Mother Room at AT-Calyx Peak Companies of Ohio, on Monday. The pot growth story has mostly focused on developments in Canada and the United States, but one broker says medical cannabis and wellness products are proving a bigger money spinner than it had expected in Europe. According to Canaccord Genuity Inc., cannabis-derived cannabidiol, better known as CBD, has become a “trending ingredient” in a range of consumer goods and is now highly visible in pharmacies and health stores. It estimates the CBD product market in Europe was worth 750 million euros ($857 million) to 1 billion euros in 2018, potentially five times the 200 million-euro estimate it made in August. Medical cannabis isn’t being left behind. Prescription volumes in the Netherlands, Germany, and Denmark — three of the top markets in Europe — more than doubled in 2018, Canaccord said in the note dated Jan. 28. The broker estimates overall medical cannabis sales were around 160 million euros in 2018, 60 percent more than its original estimate. The listed marijuana market remains very small in Europe, particularly in comparison to the boom in the sector in Canada. But big European names have started to get involved. Beer giant Anheuser-Busch InBev NV signed a research partnership with Canada’s Tilray Inc. in December. Swiss drugmaker Novartis AG reached a similar deal with Tilray the same week.